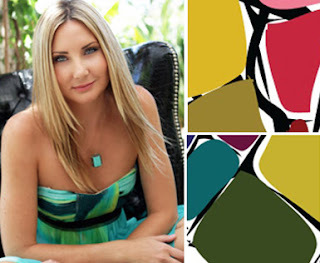 Listen up Southern California interior designers and design students...Sabina Vavra, Founder & Creative Director of Madison West Interiors, has launched an exciting new series of classes called Creative Power Course. "Creative Power Course is a series of individual boot camp courses to help you, the emerging design professional rock your business. Whether youʼre a student, launching your career, or veteran entrepreneur itʼs all about playing into your strengths, knowing your weaknesses and taking it to the next level." Sabina is a friend and esteemed colleague whom I've know for years. She's an entrepreneur who successfully runs her own design firm, has appeared on TV, launched Flea Bag Bed (designers pet beds that are fabulous! ), among many other exciting endeavors, and her latest venture, Creative Power Course, is one that I just had to share with you! "From topics like revenue streams to identifying your goals and passion, weʼre bridging the gap between school and the real world. Creative Power Courses aim to elevate your design business, no matter what stage of the game youʼre in with practical advice derived from real experience," says Sabina. Sabina will be appearing on Belle Maison next week as a guest blogger, so stay tuned! "Our debut Creative Power Course, Blazing Your Path, focuses specifically on you, your design empire, and your vision for the future. We’re talking about finding your tribe, the value of your cocktail line, marching through the door and getting it right. Get ready to blaze your own path in this creative and fruitful wold of design!" Hurry and sign up by this Friday, October 7th to take advantage of the "early bird special" for only $197 and bring along a friend for only $47! After Friday, the price will go up. Click here for details on how to register. If you live in the Bay Area, Creative Power Course will be making its way up to the San Francisco Design Center to offer the same exciting classes! Subscribe to their emailing list for details!